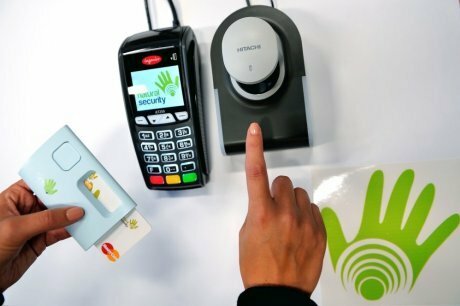 Natural Security in a partnership with Banque Accord, BNP Paribas, Crédit Agricole, Crédit Mutuel Arkéa, Groupe Auchan, Ingenico and Leroy Merlin, announced a pilot that combines a smart payment card, biometrics and mid-range contactless communication. The pilot will be open to customers of Auchan, Leroy Merlin and other participating retailers in the Lille and Bordeaux regions of France. The solution hopes to offer a smoother means of payment transactions that guarantees privacy and protection of personal data. The solution will make use of two separate biometric technologies— digital fingerprints in Angoulême (Bordeaux region) and finger vein patterns in Villeneuve d’Ascq (Lille region). Customers of partnering banks will also be able register their biometric data in their credit cards to take advantage of the new payment opportunity. All transactions using the new solution are authenticated using both biometrics and contactless technology eliminating the need for customers to present cards or enter a PIN. Natural Security’s pilot will look to establish the groundwork for a strong authentication solution for online and card-present payments as well as access to services. Boasting a high level of security, the solution will be easy and efficient to use and will include proximity and remote payment as well as physical and logical access control. A payment card that stores a payment application (EMV) and biometric data used for authentication. Biometrics, to authenticate customers without need of a PIN and ensuring they are present for the transaction. A case which enables the card to communicate with the biometric reader on the payment terminal. Readable from approximately one to two meters away. To validate the technical aspects of the project— biometric Match-on-Card and mid-range contactless technologies. To gauge the reactions of consumers, retailers and banks. To evaluate support processes such as data enrollment. The pilot will look to break new ground comparing two biometric technologies to evaluate performance and user experience together in a real life setting.